For almost a year now, I've been seeing bone broth everywhere. On blogs, Instagram, Facebook, and even in stores! It was always lurking there, on the bottom shelf of the broth section in Walmart and Target, and the price tag alone was enough to make me move on to cheaper stuff. Like most things, it took me a while to warm up to the stuff. After all, the thought of drinking broth for health benefits just seemed, well,…. Just the thought of drinking the stuff turned my stomach, so naturally I thought the people hawking it's health benefits and actually liking it either didn't have taste buds or were lying. Literally anyone can benefit from getting help with at least one of the things above. But still, I didn't want to drink it. 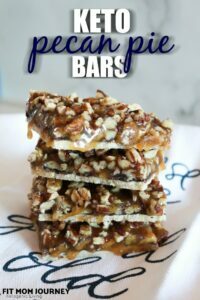 Even more, I was busy and didn't want to make it myself. And being cheap, I didn't want to pay for it. 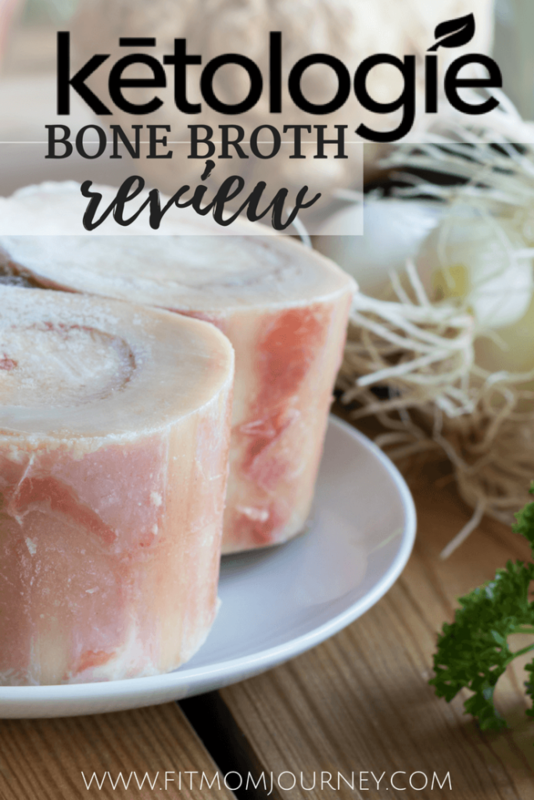 But something must have changed, because I'm writing a bone broth review, sitting at my dining room table, sipping a cup of, well….bone broth. 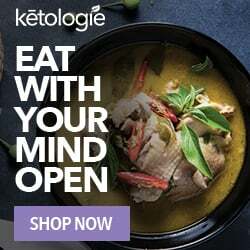 Well, I was first introduced to this company called Ketologie through The Keto Box…..very Keto names, huh? 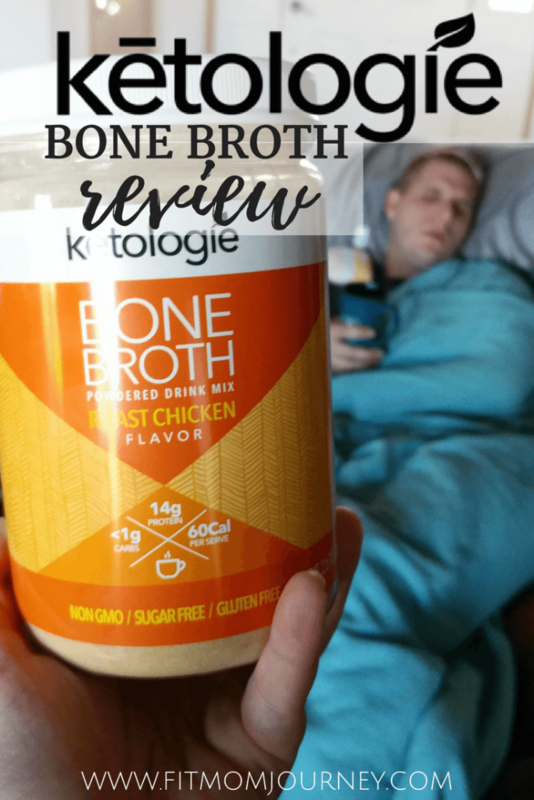 But when I was exploring their site, I noticed that they had another intriguing product: powdered bone broth. Now, I didn't order any that day because I had my heart set on that chocolate shake. The hubs and I both started new jobs. Translation: we had no room for being sick in these new jobs. And then, as luck would have it, we came down with the most killer viruses either of us have ever experienced. I mean, I'm not one to let a cold slow me down, but this one took us both out – and we had to go to work anyway. 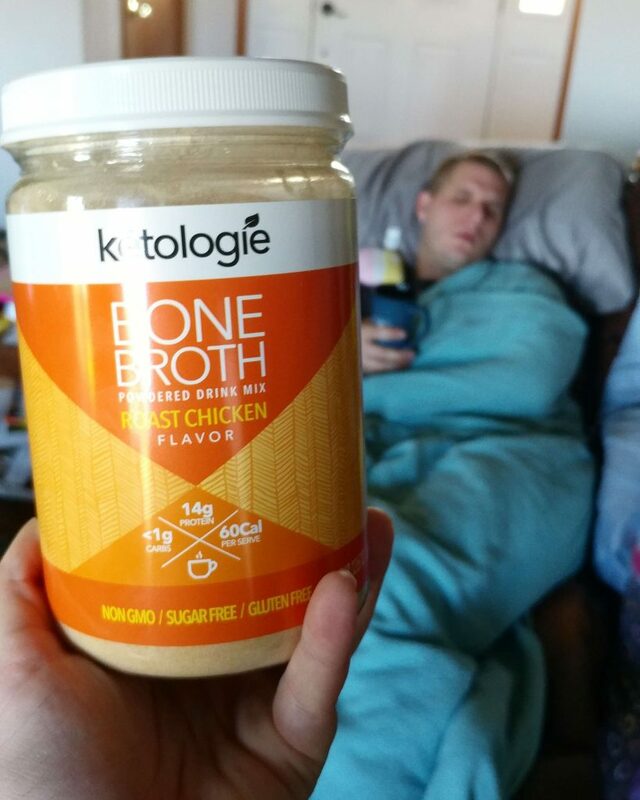 Stuck in bed with a sniffling nose every night for like 2 weeks, I read up on the health benefits of bone broth again, then got onto Ketologie's site and ordered both kinds of powdered bone broth. And then I prayed like I have never prayed before that it would help us get better and never get that sickness again. When it arrived, we were still sick, but I didn't want to drink it. It grossed me out, but I was tired of being sick, so I went for it. And let me tell you, the whole experience went down exactly the opposite of how I thought it would be. 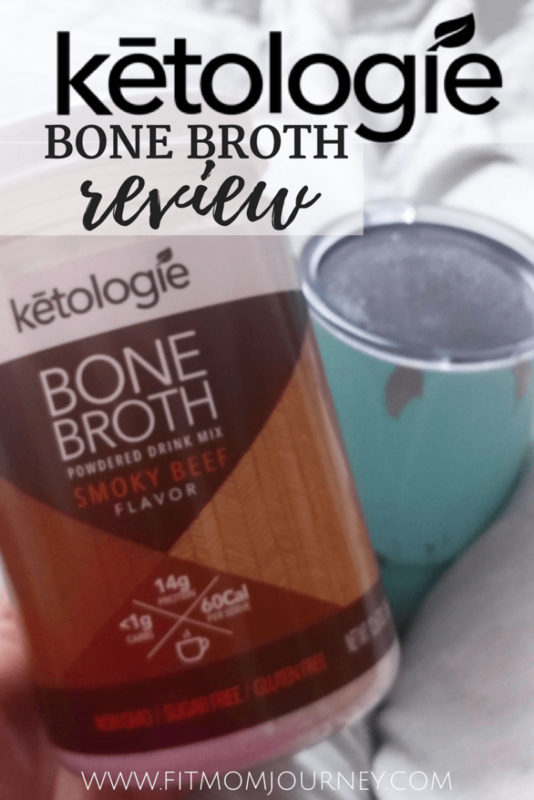 My first impression of the Ketologie Bone Broth was that it smoky in SUCH a good way. And then I started to taste the celery, and carrots, garlic, and that first sip finished with just a bit of pepper. 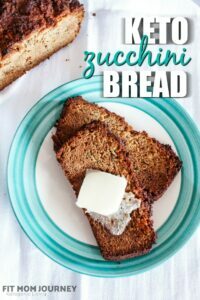 So you know how when you discover something you love, you want to share it with everyone? 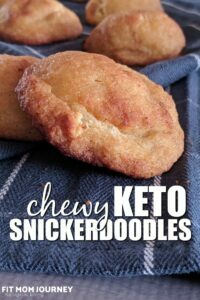 That's what I want to do with Ketologie. Now is your chance to get better bones and joints, heal your gut, protect yourself from sickness and much, much more. 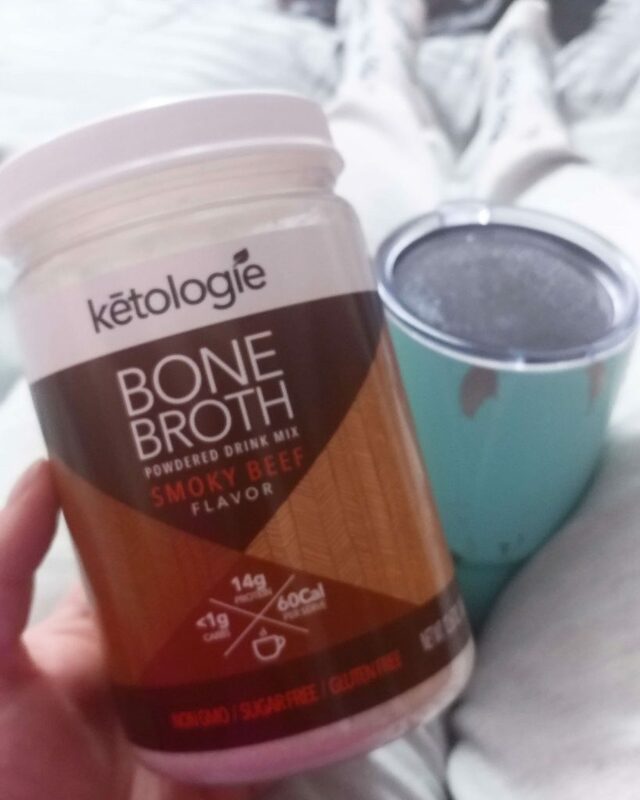 If you’ve been looking to add the health benefits of bone broth to your diet, and need a convenient product, then Ketologie Bone Broth is worth having around. 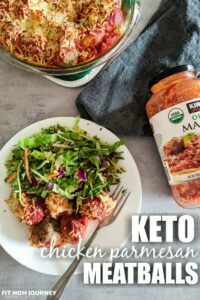 There are zero net carbs in each serving of this delicious bone broth, and it sells for a price that even my frugal self can get on board with. Do you drink bone broth?